Jessie never suspected that witches are real, or that she is one, in the start of this paranormal suspense saga from #1 New York Times bestselling author Christopher Pike. Suddenly Jessie discovers that she’s stumbled into a world where some people can do the impossible, and others may not even be human. Are there really witches? Is she one of them? 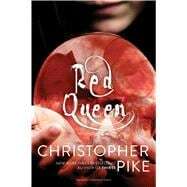 Originally published as Witch World, this classic edge-of-your-seat thrill ride from #1 bestselling author Christopher Pike keeps you guessing right until the last page.